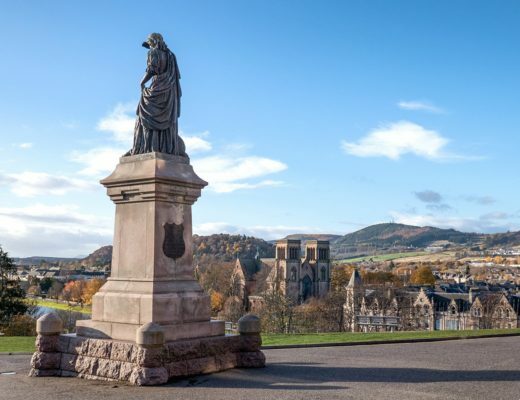 My city break trips are usually a whirlwind of sightseeing, eating and drinking, where a hotel’s more a place to sleep than somewhere to spend much time in. 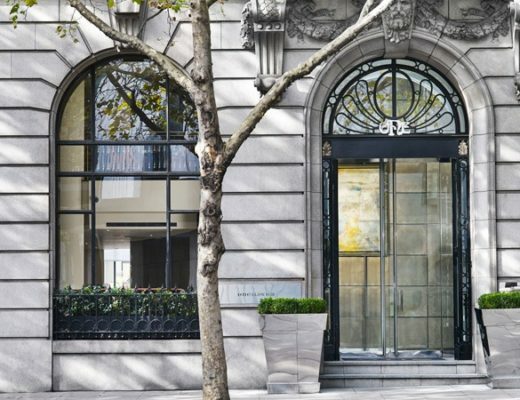 A good city break hotel needs to be central, comfortable, clean and inexpensive. 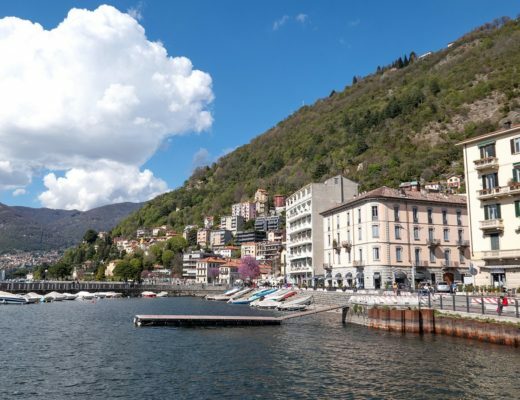 But a lot of the time that seems to equal a bland, budget hotel – all magnolia walls and beige carpets. That doesn’t have to be the case though. 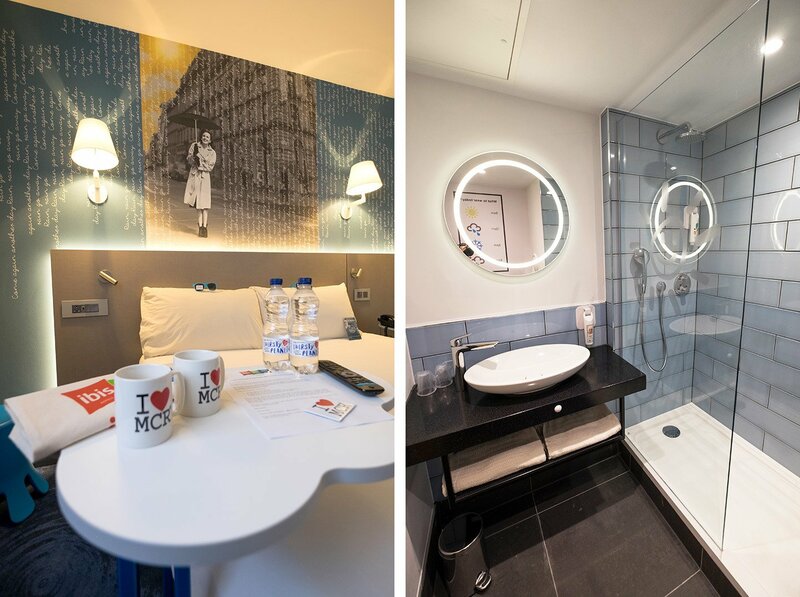 On my last trip to Manchester I tried out ibis Styles hotels for the first time – the younger, cooler, quirkier relation of the huge international hotel brand. 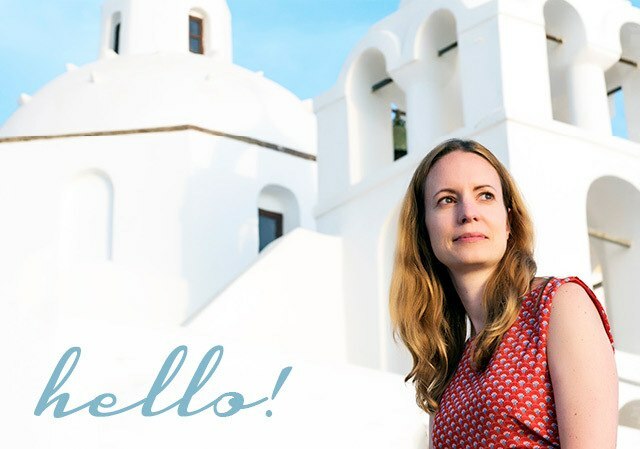 Each hotel has its own individual design, taking inspiration from their location. And in a city where you’re almost guaranteed to see four seasons in one day, what could suit Manchester better than a weather theme? A good location is one of the most important things I look for in a city break hotel, and the ibis definitely delivers. 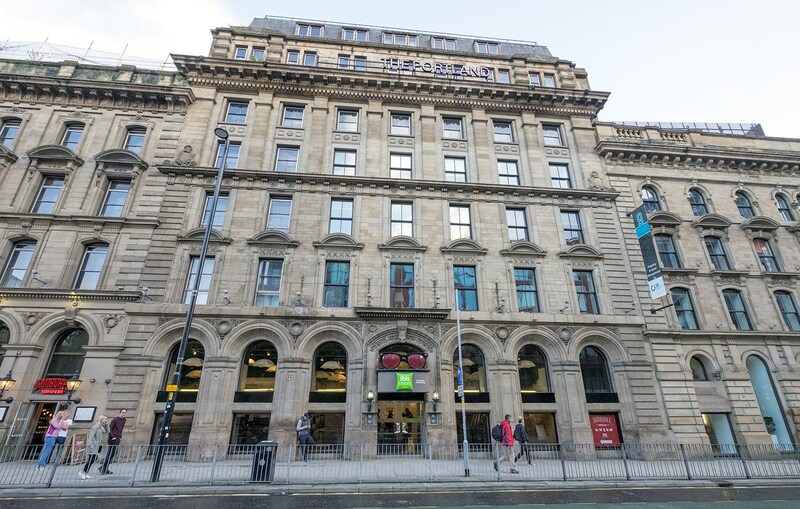 It’s located in the former Portland Hotel, right on the edge of Piccadilly Gardens in the centre of the city. You’re only a five-minute walk to Manchester Piccadilly train station and close to the city’s main shopping areas. Also nearby is the Northern Quarter, which is the place to go for cool independent shops, bars and restaurants (our top discoveries of the trip were the pawn shop-themed cocktail bar Dusk Til Pawn and tasty doughnuts from the monthly Makers’ Market). Then it’s walkable to almost everything else – we headed down to the Museum of Science and Industry to try their Red Arrows simulator and spent the evening at the Comedy Store – or you can catch a tram or bus from Piccadilly Gardens just opposite. The hotel has 229 rooms, with a mix of singles, twins, small and large doubles with a queen-sized bed. 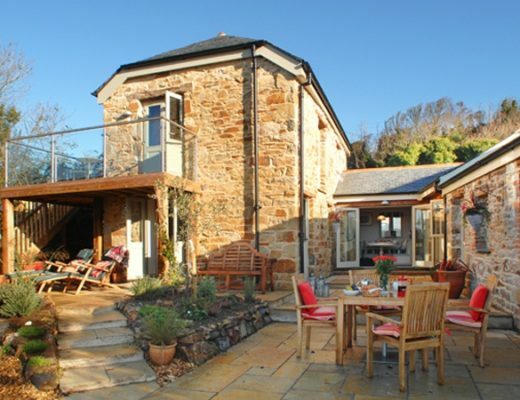 Although the building dates back to the 19th century, inside everything is bright and modern, and it’s all been recently refurbished. 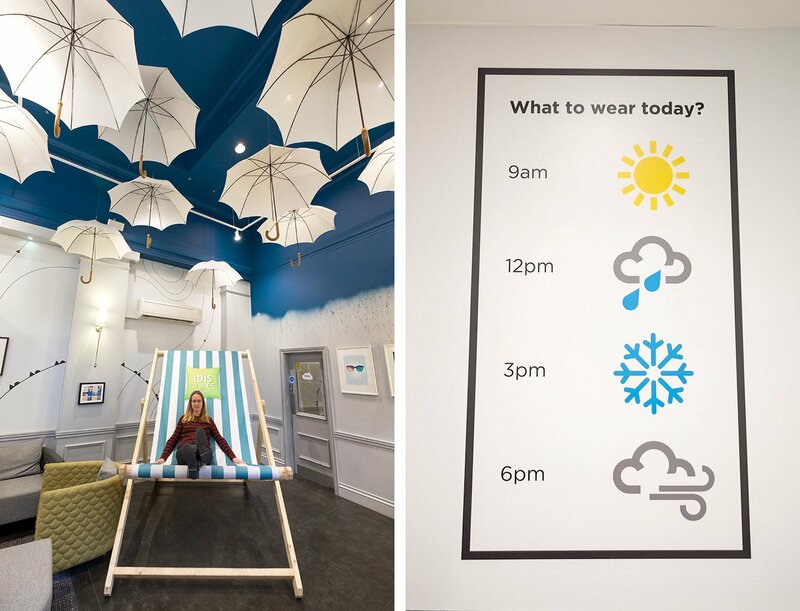 Each floor is themed around different weather. 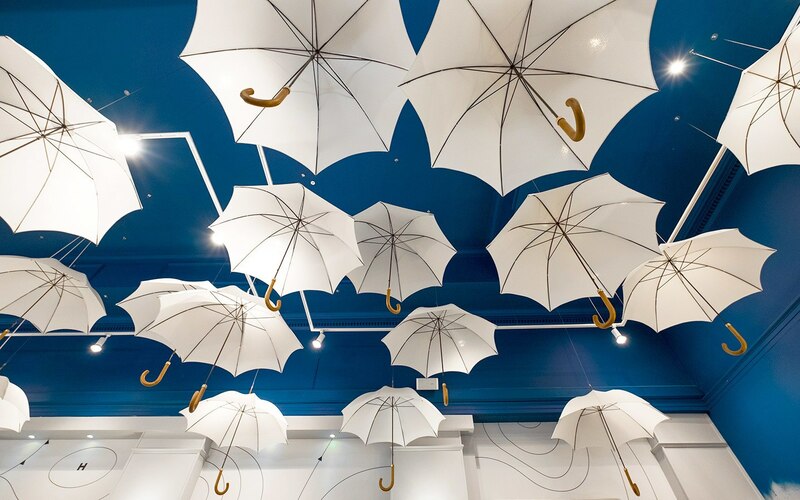 Our double room was on the rain floor (appropriately enough as we saw plenty of it), with a cloud-shaped table, umbrellas as tables legs and rain-themed artwork above the bed. There are also yellow sunshine rooms and stormy rooms with a carpet of blowing leaves. Rooms aren’t huge but are clean and comfortable with everything you need – flatscreen TV, hairdryer, iron, bottled water and tea and coffee-making facilities. Blackout blinds and double glazing meant we got a good night’s sleep and the rainfall shower in the en-suite woke us up next morning. 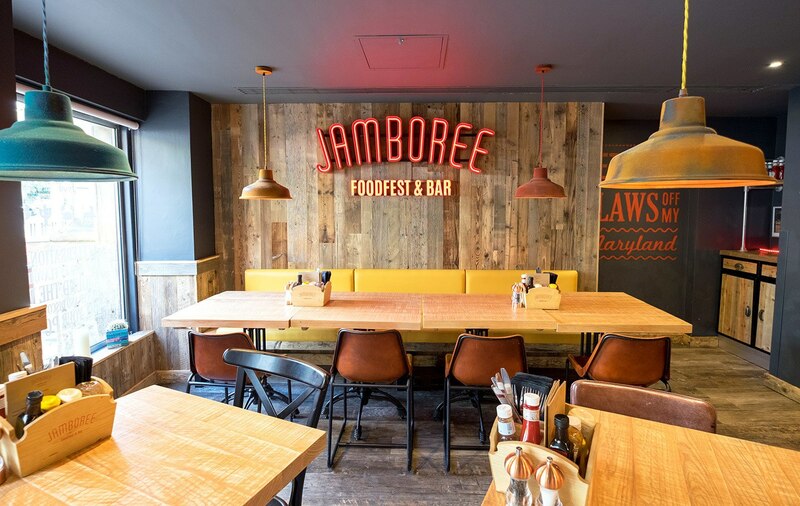 Breakfast is included in the room rate – an unusual bonus for a budget hotel – and is served in the Jamboree Foodfest & Bar, which is attached to the hotel. Rather than a standard hotel dining room, it’s a cool, US diner-style restaurant with wooden tables, vintage-style furniture, industrial lighting and travel-themed artwork (I even spotted a poster I have on my living room wall!). Breakfast is a continental buffet, with unlimited granola, yoghurt with fruit coulis, pastries, hard-boiled eggs, ham, cheese and juices. The restaurant’s also open for lunch, dinner and drinks. 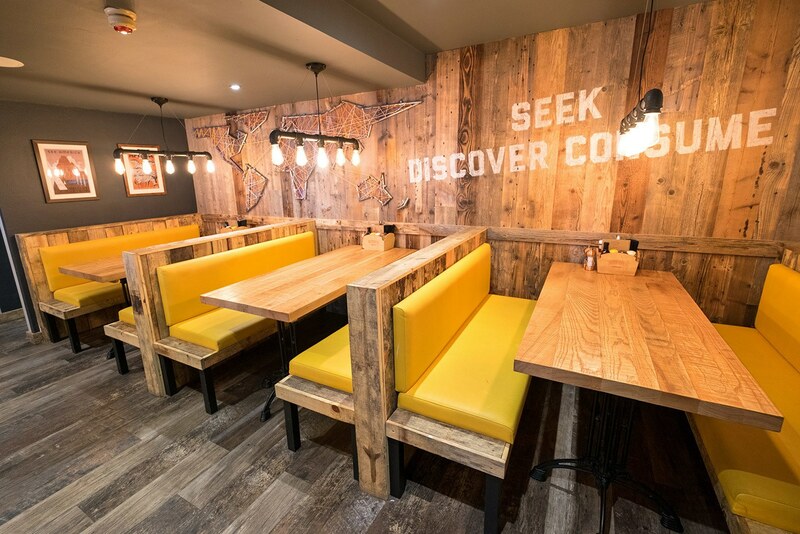 Their speciality is global-inspired burgers, so we tried out the tasty jerk chicken and Maryland crab versions. There’s also a mix of international main dishes, beers from around the world and a good cocktail list, and the place was buzzing on a Saturday night. A lot of thought has gone into the hotel’s communal areas, which really make it stand out against the usual budget hotels. 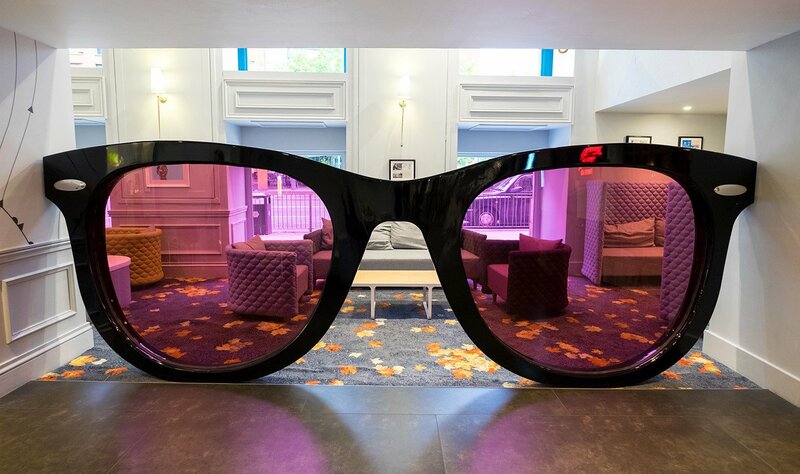 They’ve gone all out with the weather theme in the lobby – it’s very Instagrammable with some great selfie spots – a ceiling hanging with umbrellas, a huge striped deckchair and giant pink sunglassses. On a more practical front there are plenty of places to sit and a children’s play area with interactive weather map and weather-themed books. Check in is done on a laptop in the lobby, there’s free wifi around the hotel as well as a computer you can use, and you can store bags after checkout for £1. Guests are… a mix of couples, families and groups of friends (with the odd stag or hen party). 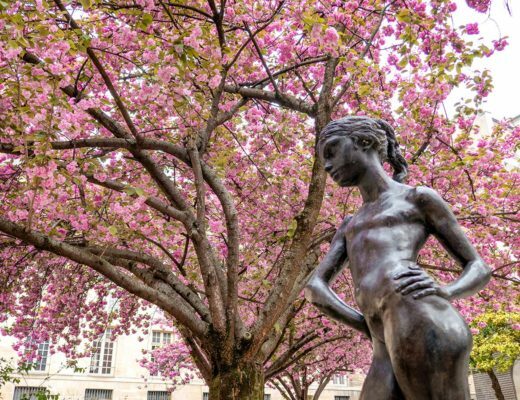 Staff are… young and enthusiastic, with some good tips for what to see and do in Manchester. Don’t forget… check out isn’t until noon, so you can have a lie in if the cocktails were too tempting! Useful to know… if you’re driving, guests get a discount at the nearby NCP car park. Rooms at the ibis Styles Manchester Portland Hotel start from £59 a night for a double room. 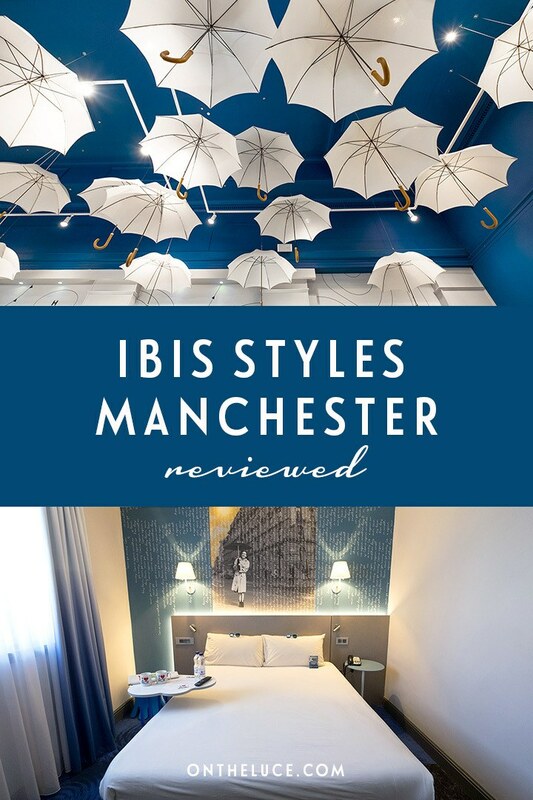 Thanks to ibis Styles for hosting me in Manchester. All views and opinions are, as always, my own. Great isn’t it – such a clever idea! Wow, I love the color and theme. That seems like a pretty great hotel for the price. Will definitely keep in mind if in Manchester. It’s a really good deal for the location, and having the cool decor is a real bonus. I like the big chair and glass.. it’s amazing.. thanks for sharing such great stuff with us..
It’s really fun isn’t it – making the most of the bad weather! okay I think now I’m ready to Prepare for sunshine!.. Could do with a bit more sunshine here at the moment! Looks good! Jane’s tried a few Manchester hotels for work in the past..not all great….and we both need to stay in the city visiting family and friends..so might give this a go..thanks! Inexpensive hotels can be a bit hit and miss but this was a really good option for location and price. What a fabulous find! I’d love to stay there.it certainly doesn’t looking a budget hotel. They’ve done a really good job in making it a cut above the usual bland chains! It just shows that an inexpensive chain can do something special! Manc is always expensive when I am there with work so this actually looks like an upgrade to the Hilton tower! Nicely done! There’s a lot of competition down the budget end of the market that brands are really having to up their game and try to be different these days. I stayed at a Ibis hotel when I was in Edinburgh. Thanks, yes it was a really fun spot, I’ll definitely keep an eye out for them in future.